Spice pastes add a ton of flavor and nutrition to your cooking. There are several types of spice pastes that are available in stores but to make them yourself adds totally new and vibrant flavors to your dishes. The pastes are usually highly aromatic and spicy and can be preserved for future use. So make sure you make a large batch so you only have to make it once and can enjoy it for months. The ones you buy from the store heavily rely on preservatives and artificial flavors therefore not a healthy option to use, but the one you make at home is a guaranteed winner! Plus the selection of the kind of spice pastes you can make is much more varied. 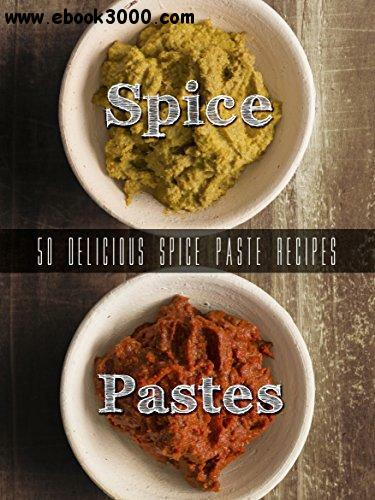 These 50 different pastes are enough to add incredible flavor to any kind of dish. Spice pastes are made up of many natural ingredients including spices, herbs, fruits, and vegetables which can be used in an endless number of combinations. These are ground up into a paste, usually with some oil, vinegar or water, to produce intensely concentrated flavors. They easily add instant exotic flavors to a dish. To use a spice paste, simply heat it up first in a pan so all the aromas and flavors are released and then add the rest of your ingredients. You'll get amazing flavors every single time.